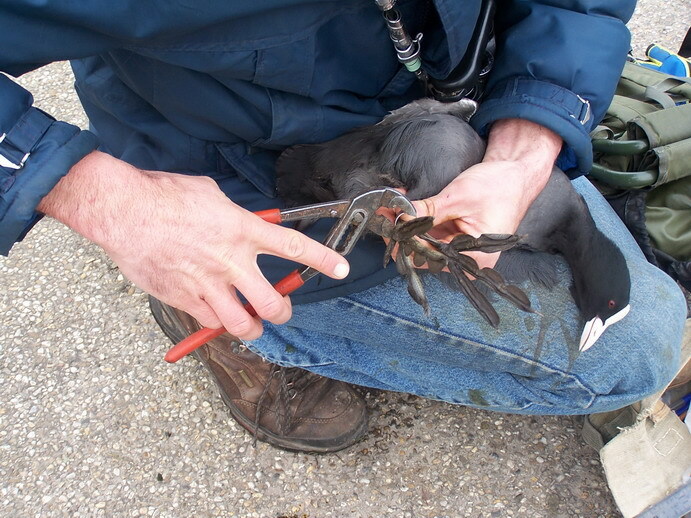 In 1998 in the context of the RAS-project I fitted Common Coots with a metal ring in the city parks in Arnhem. The ringing work is concentrated in the parks of Sonsbeek and Angerenstein. 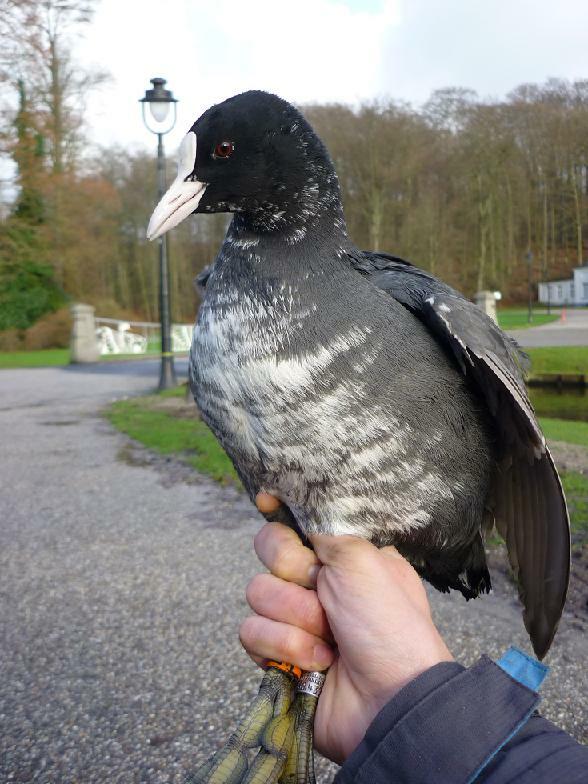 In total there are tens of breeding pairs. 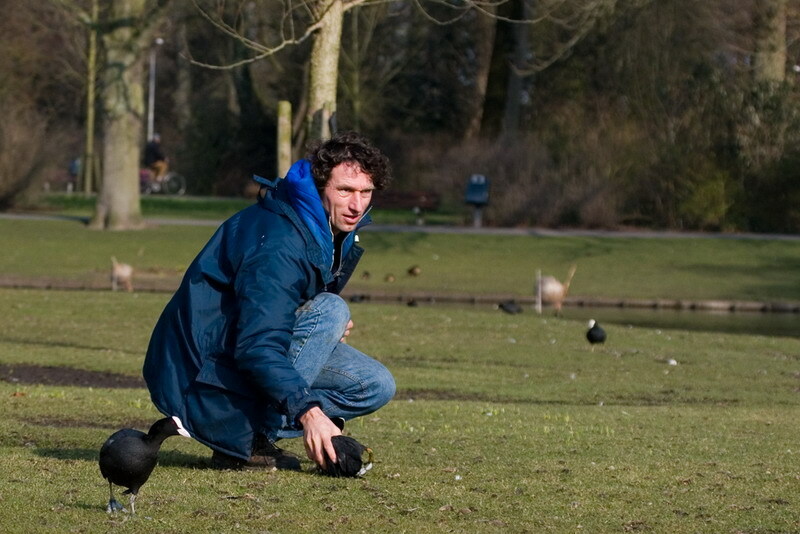 The birds are baited by feeding with bread. At the same time the metal rings are read using a telescope. From every successful brood normally only (1-4) young become fledglings. 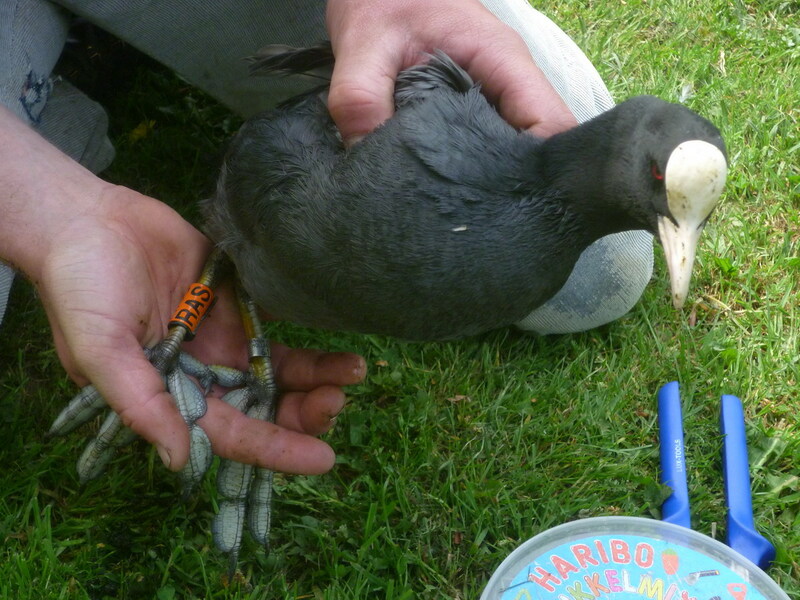 But many breeding attempts and second broods do increase the number of young. 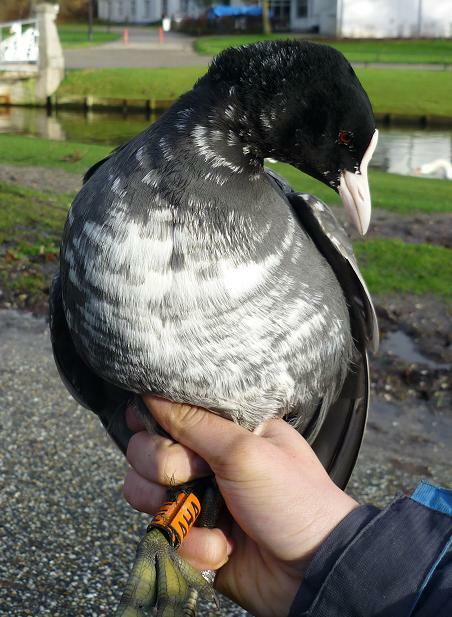 Sometimes Common Coots are so tame, that they can be caught by hand, here by Frank Majoor. © Frank Majoor. Website update 21-01-2014.